Last week, we lost a true comics legend and luminary. 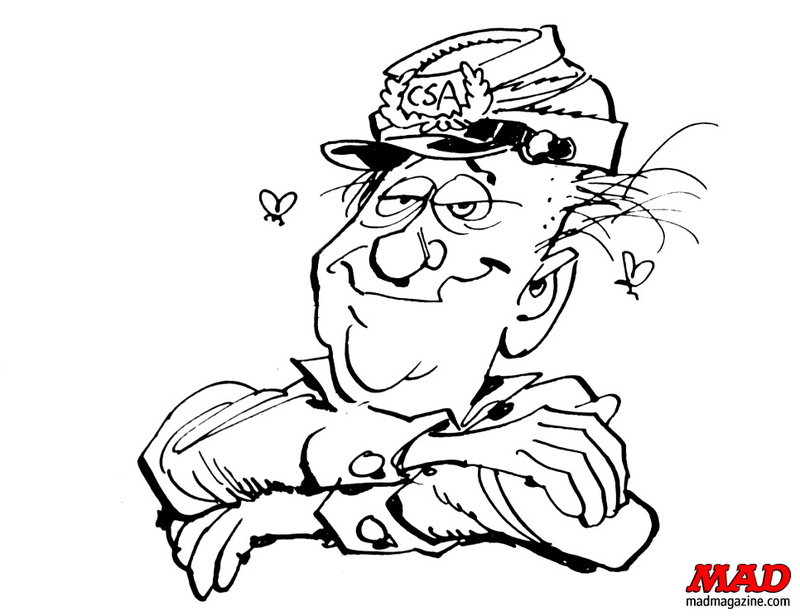 Jack Davis is not only remembered as a founding member of MAD magazine and contributor to EC’s diverse line of comics, but also as a man who with his incredible knack for caricature and wit helped push the medium forward, and during a time when comics were persecuted for allegedly corrupting children’s innocence, taught us the necessity of standing behind ones art and up in the face of criticism and censorship. Born in Georgia in 1924, like so many gifted artists of the time, Davis set his sights on New York to pursue a career in illustration and editorial cartooning. With a penchant for humor and previous experience working on the comic strip The Saint, Davis sought work in the comic book industry. Unfortunately, though, he was met with rejection time and time again until, by chance, he walked into Bill Gaines’ EC Comics. From there he would go down in comics infamy. But I went down to Canal Street and Lafayette, up in an old rickety elevator and through a glass door to Entertaining Comics where Al Feldstein and Bill Gaines were putting out horror books. They looked at my work and it was horrible and they gave me a job right away! Unlike so many publishers of the time, EC Comics prided itself on taking chances in order to push the boundaries of comics and tell the best stories anyone had ever read. Going hand-in-hand with that thought was the idea that the story didn’t dictate the artist; the artist dictated the story. If you wanted weird, grotesque monsters with disproportionate features existing in a strange and surreal environments with lots of shadows, you went to Jack Davis. If you wanted fluid caricature and rich, wry humor, you went to Jack Davis. “Foul Play!” reproduced in The Seduction of the Innocent. Originally published in EC Comics Haunt of Fear #19. His fostered talent at EC Comics, though, would land him in hot water with child psychologist Dr. Fredric Wertham and within the pages of his infamous 1954 book The Seduction of the Innocent—the book that began a decades long crusade against comics and ultimately the near destruction of the industry. 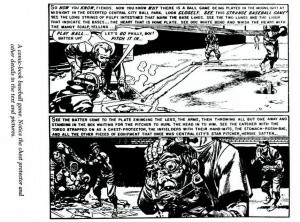 Among sixteen-pages of reproduced illustrations from various comic books were two panels from Jack Davis’ The Haunt of Fear story “Foul Play!” The aptly named story recounts the tale of a dishonest baseball player who gets his comeuppance when his teammates decide to play baseball with his dismembered remains in the dead of night. 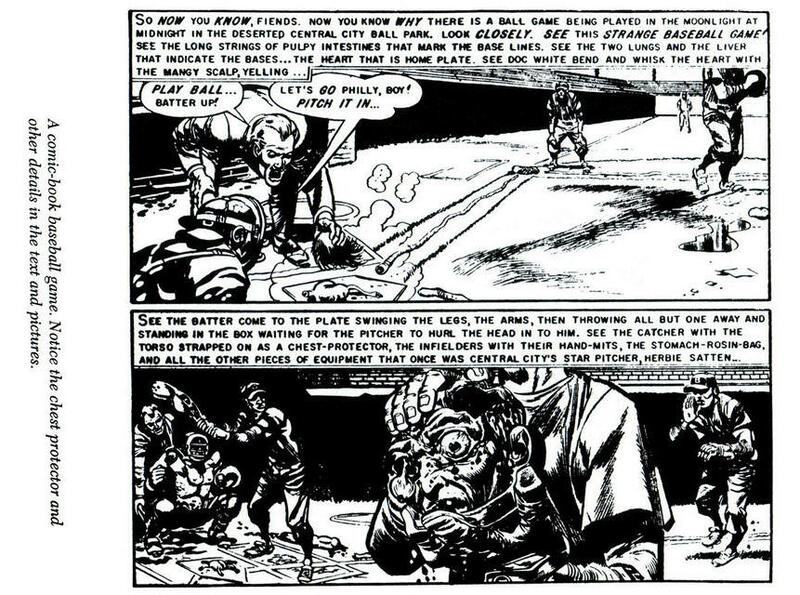 The panels reproduced in Seduction show the pitcher using the dead player’s head for a baseball, his lungs, liver, and heart for bases, “long strings of pulpy” intestines for baselines, hands for hand-mitts, breasts for breastplates—a truly rich and grotesque example of comic art that you can’t help but continue to look at and dissect (no pun intended) piece-by-piece. These are panels that showcases Davis’ immense talent as an artist and visual storyteller; ones that you can’t help but appreciate for all their minute details. Bill and Al wrote the story, and I thought it was all kind of funny and no big deal, and then, when it came out in that book, I wanted to bury my head. I wished I never did it. Bill said, ‘Jack, Jack—don’t worry about it. It was just a joke. This’ll blow over—don’t you worry about it’ But I wasn’t so sure. Unfortunately Davis was right and at the conclusion of the Senate Subcommittee Hearing, the Comics Code Authority and Comics Code of 1954 was established. 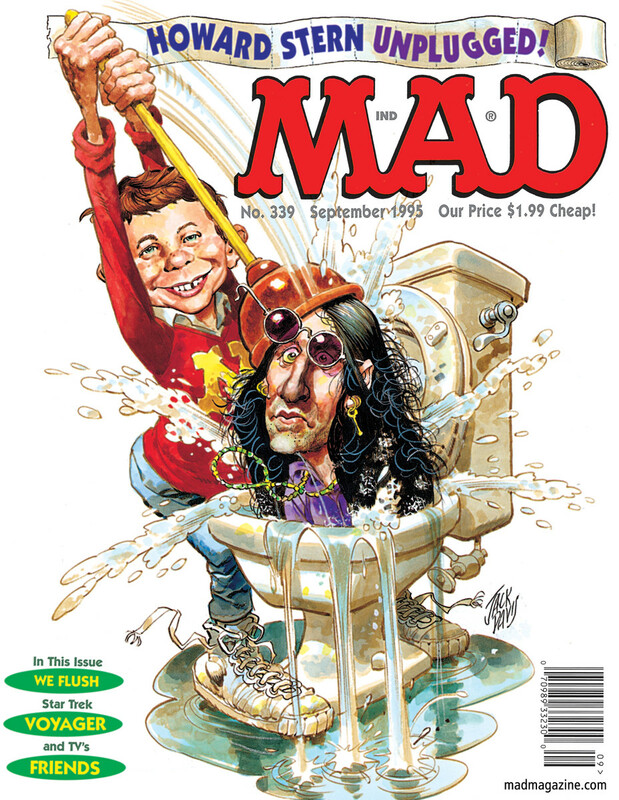 Despite, an attempt to impose and industry-wide censorship of comics, Davis and other members of EC fought back, found the loophole in the code, and created the humor comics magazine MAD. As a member of the “usual gang of idiots,” Davis got the opportunity to draw the kinds of humor comics that he wanted without fear that the comics censorship police would come knocking on his door. 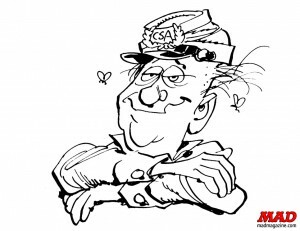 With his quick wit and eye for capturing the humor in the moment, Davis spoofed pop culture icons, took cracks at our favorite comic book characters, and general gave us some of the best humor comics in the past decade. 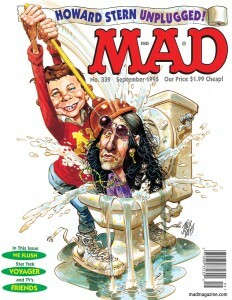 Davis would go on to regularly produce work for MAD for four decades. Davis is not only remembered for the incredible contribution that he made to the comics with his artwork, but strength that he had to be true to himself and his art and stand behind the work that he created.